Many camping enthusiast, whether retired or able to work on the road, make the decision at some point to either RV full time or for extended stays throughout the year. Anyone who’s spent more than one night in a campground knows camping costs can add up. Not only do RV clubs offer discounts on camping, but many offer fuel discounts, roadside assistance, discounted camping supplies, a chance to meet other good-natured campers at gatherings and more! Researching and learning what you need in a club is key. You may decide to opt out of any memberships at first only to decide, literally, down the road, that you want to check into one after all. Here are some benefits you may expect from joining. Number 1 on most everyone’s want list are campground discounts. Let’s face it, everyone’s looking for a good deal these days so we can spend more time outdoors exploring. When you join an RV club, you can keep those discounts coming in more ways than just your campsite. Good Sam RV Club offers a 10% discount at over 2,400 campgrounds throughout the US. Membership cost runs $27/year. You’ll also be rewarded when fueling up at select Pilot Flying J locations with 5 cents/gallon off on gasoline and 8 cents/gallon off on diesel. Need propane? Refill at Pilot Flying J for a 5 cents/gallon discount. As a club member, you’ll enjoy a 10% discount on purchases at any Camping World and several outdoor retailers. Good Sam also offers discounts on dining, travel, shopping and more. Passport America at $44/year is a wise decision for those who want good use of campground discounts. This club offers 50% off campsites at 1600 campgrounds across the US and Canada. Prior to joining you can download their campground directory showing any restrictions on discounts. This allows you to truly make an informed decision if this club suits your needs. Passport America also plans several RV trips throughout the year. For a set price, you will caravan with other like-minded RVers. You’ll travel in your own RV but camp and tour with other RVers and a guide when you sign up for the journey. The Happy Camper Club advertises they are a club for “campers of all types.” The campgrounds, who’ve partnered with Happy Camper, number over 1,200 throughout the US. The club advertises “up to” 50% off campsites. You may encounter some locations that will offer less than the norm of 50%. Prior to joining, you can browse the website and check out available campgrounds this club has to offer. Long-term camping discounts are also available at participating parks and are outlined on their website. The club cost is $39.99/year. Harvest Hosts is a unique RV club. It is a network of wineries, breweries and farms that invite RVers to stay overnight for free at over 600 locations. The $49/year membership fee pays for itself after a night or two. The site, however, does not allow access to view locations prior to signing up for membership. Participating Harvest Hosts locales provide no RV hookups or services such as showers and bathrooms. You must call ahead to reserve and are provided a one night stay per location. For those who don’t mind boondocking for an evening, this actually sounds like a fun, adventurous way to throw in a night or two off the beaten track as you travel to new destinations. Just imagine enjoying happy hour at a winery and continuing that view and ambiance from your RV home. Escapees RV Club has various discounts that apply to their network of campgrounds. Some may be 50% off while others will give a 15% discount. Restrictions may apply as to how many nights you will be assured of receiving the discount. Their website is quite extensive and worth checking out. You can find things such as mail forwarding assistance, an online forum, blogs, webinars, groups you can join that share common interests, and more. At $39.95/year, this club has a lot to offer. KOA Value Kard Rewards is specific to KOA campgrounds throughout North America. For a $30/year membership you’ll receive 10% off daily rates year-round at 500 KOA campgrounds. As a member, KOA also provides an app to download on your phone making it easy for online reservations. Reward points are accumulated with each booking that can be used for cash off on future KOA reservations. KOA offers a virtual mailbox program that is accessible from anywhere. Notifications are sent via your phone or email when street mail is received, making it secure to manage all your incoming mail virtually. An image of your envelope or package, with sender information, will be forwarded to your virtual mailbox. 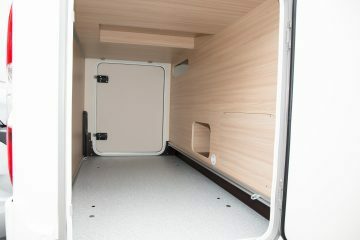 KOA will scan documents, shred and discard unwanted mail or forward mail items to you at the address of your choosing. Kard Reward members receive special pricing on this feature. You’ll also receive coupons from national merchants and local discounts from over 200 cities. Coupons include discounts on restaurants, groceries, retail, recreation and more. I’ve learned from our RVing friends that reserving campsites can, at times, be challenging. Many have been happy to have KOA to turn to in order to be assured a campsite is waiting for them upon arrival. If you are 62 years of age or older, the National Parks Senior Pass is offered at a one-time lifetime cost of $80. The senior pass allows the pass holder (plus up to 3 others) free entrance to any national park, national wildlife refuge or national forest lands. The pass holder can obtain a 50% discount on camping at any national parks or lands’ campground. So, who said getting older wasn’t a good thing? It’s a good idea to research state parks you may be visiting. Most offer senior discounts for entrance or camping but you may need to be a resident of that state. Some states sell annual senior passes while others only require an ID. For instance, in Florida residents 65 and over obtain a 50% discount on campground sites. There are dozens of RV apps available for free or at low-cost to make life trouble-free on the road. A quick google search will provide an overview so you can make an informed decision on which apps might be beneficial to download. Here are a few that stand out to help you along the way. Price tag: $9.99. While the app does not provide discounts, it’s ultimate in finding over 30,000 campgrounds, including national, state and county parks, and contains complete information on the campground with or without internet. You can also determine the location of RV dump stations, RV service, rest areas, low bridges, road conditions, fuel, various state laws and more. The app is constantly being updated to provide current, accurate information. Price tag: Free. Even with many gas stations in close proximity, this app will show you fuel prices in real time in your area. To save on fuel, be sure one of your traveling companions is Gas Buddy. Google Play or Apple iTunes. Price tag: $0.99. Have you ever left home to find 5 or 10 miles down the road you’ve forgotten an important item? You can customize your RVing checklist or keep a list for other things going on in life. We lead busy lives — RV Checklist is there to help. Google Play or Apple iTunes. Price tag: Free. When the need arises, you can stay connected. This app provides locations that offer free WiFi. Google Play or Apple iTunes. Price tag: Free. The app makes it quick and easy to locate an RV dump station Input a zip code or city to search. You’ll get results in Google Maps or use the GPS feature on your phone. Google Play or Apple iTunes. Price tag: Free. Accidents happen, be prepared – it can mean the difference between life and death. The app will provide help in whatever area of the U.S. you may be traveling should the need arise. It’s a great idea for everyone but especially for those who venture off the beaten path. Google Play or Apple iTunes. Doing your homework and research on the RV club that best enhances the way you camp will go a long way in having your cake and eating it too. 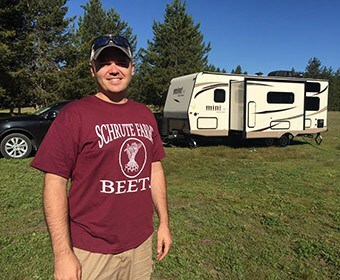 Many RVers join 2 to 3 clubs in order to find available campsites in the area where they are traveling, to make it easier on themselves to find a campsite and to obtain discounts or services on other items. Clubs offer a wide assortment of discounts, coupons, services and perks. Not all are created equal. Read the fine print on their website. Be prepared to call or ask questions online if something is not explained well or understandable. As an added benefit, some campgrounds offer discounts for active military, retired service members and veterans. It never hurts to ask! Keep in mind, it is your responsibility to let a campground know that you are an RV club member at the time of booking your reservation. Many campgrounds do not ask or advertise that they participate in an RV club. 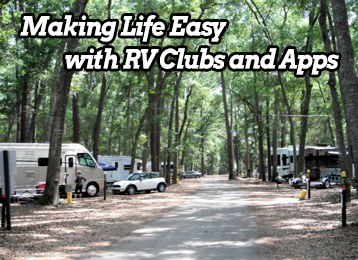 Check reviews on various RV club memberships and available RV-friendly phone apps. Find out what experiences others have had, good and bad. Joining one or more of these clubs and downloading some apps to your phone might be just what you need to get you on the right track for a stress-free, serendipity, memorable RV trip. Hello! I’m with Family Motor Coach Association’s Marketing Team – Have you heard about FMCA? FMCA is a member-owned, non-profit RV club. 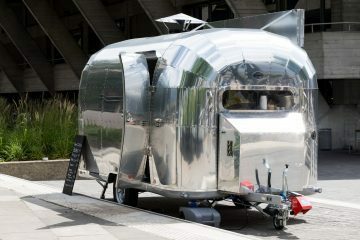 We used to be just for motorhomes, but now we are welcoming all RVs! I think FMCA would be a good fit for your list! Thanks for your time! Great article. Another resource is Pacific Pride or CFN for fueling RVs. If your using diesel you can get these they provide a easier in and out for RVs, fresher fuels, and you can avoid passenger vehicles.